Did POTUS cave on shutdown? 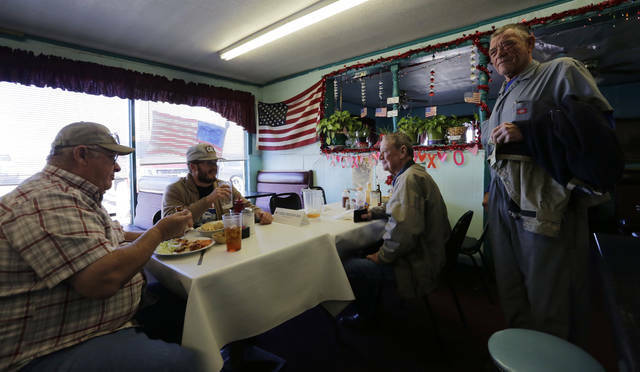 FORT HANCOCK, Texas (AP) — Donald Trump didn’t carry many parts of Texas’ heavily Democratic areas along the border with Mexico, but he won remote Hudspeth County thanks to people like Terry Rose. 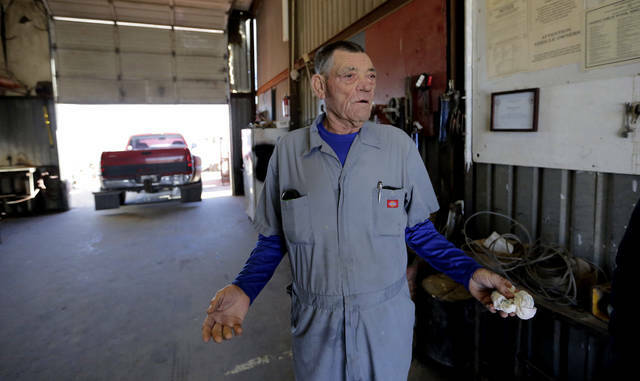 And the 71-year-old mechanic saw the longest shutdown in U.S. history as a campaign promise kept. The shutdown — which lasted 35 days and ended Friday with Trump agreeing to fund the government for three weeks — did dramatically shrink the size of government at least temporarily. Funding was cut off for nine of the 15 Cabinet-level departments and about 800,000 employees went without pay, nearly half of whom were deemed non-essential and told not to report to work. Even as it eroded the president’s approval rating, the shutdown energized a segment of the Republican base that has for decades heard GOP presidential hopefuls vow to abolish the IRS and mothball the departments of Education, Energy or Interior or many other agencies, without actually accomplishing anything close. It’s a reminder that should Trump choose a shutdown again, as he threatened Friday, he is likely to have some supporters cheering him on. But the shutdown didn’t repair a decades-long schism within the Republican Party between conservatives, who would like to see some parts of government contract but don’t mind creating deficits for things like tax cuts and defense spending, and libertarians, whose main goal is to get government out of peoples’ lives almost entirely. Trump has backed increasing the size of the federal budget, whether to raise military spending or to spend billions walling off the entire U.S.-Mexico border, making him no true champion of small government. Libertarians and fiscal conservatives are also quick to point out that shuttering the government indiscriminately because of political squabbles did nothing to reduce long-term federal spending or have any lasting, meaningful impact on government’s overall size and scope. Jeffrey Miron, director of economic studies at the libertarian Cato Institute, noted that the shutdown continuing for so long likely will end up costing taxpayers more to make up for lost time as things begin returning to normal. “This just makes small-government people, and conservatives who claim to be small-government people, look like they’re angry, aggressive, willing to cause people to go without their paychecks,” Miron said. 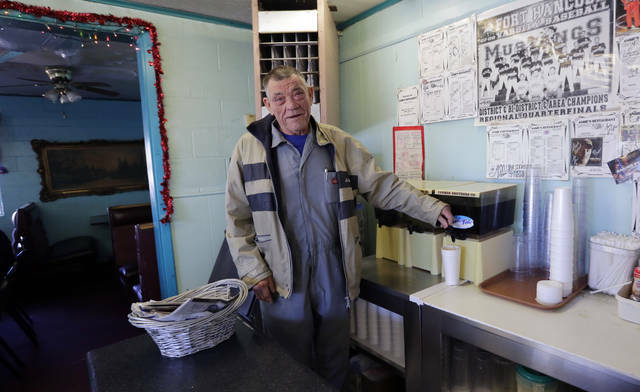 Gene Henderson, a 69-year-old Vietnam veteran and retired Border Patrol agent, agreed that the shutdown was a positive example of small government and predicted it could cement Trump’s 2020 re-election. It’s hard to get farther away from Capitol Hill than Fort Hancock, a dusty desert town of about 1,800 that feels straight out of 1950s Hollywood Wild West central casting. Trump won the county that encompasses it, Hudspeth, by 179 votes out of fewer than 900 cast in 2016. But much of the rest of Texas’ heavily Hispanic border areas tend to favor Democrats. Possible 2020 presidential candidate Beto O’Rourke hails from neighboring El Paso County, which went for Hillary Clinton by nearly 45 percentage points. Still, locals have an unusual view of the issue at the center of the shutdown — the border wall — because they can see it literally from two sides. A barrier of towering steel runs through much of town, then stops, giving way to low barbed-wire or, eventually, nothing at all. That means some residents know life with a border wall and others know life without one. Many Trump supporters here dismiss the notion of building a wall the length of the 2,000-mile U.S.-Mexico border, but believe Trump was right to hold out for expanding it as much as possible. The shutdown damaged Trump’s overall approval ratings, according to a new poll by The Associated Press-NORC Center for Public Affairs Research, which showed the number of Americans who approve of his performance dropping to 34 percent from 42 percent a month earlier. Among Republicans, however, Trump’s approval rating remained close to 80 percent. Sitting at Angie’s Restaurant, which specializes in “Mexican and American food,” including burritos and cheeseburgers, Rose said he still pins his hopes on Trump. Trump defended himself Saturday from the conservative backlash to his decision to end the 35-day-old partial government shutdown — the longest in U.S. history — without money for his promised border wall. He said if he didn’t get a fair deal from Congress, the government would shut down again on Feb. 15 or he would use his executive authority to address what he has termed “the humanitarian and security crisis” on the southern U.S. border. Trump insists he didn’t cave to anyone and said the standoff with Democrats was far from over. In California for a meeting of the Koch political network, Trump supporter and Koch donor Doug Deason of Texas said he was “severely disappointed” that the president agreed to reopen the federal government. Deason said he wanted Trump to go “nuclear” and keep the government closed as a way to cut the number of federal workers and would have preferred if Trump had used emergency funding to pay essential workers. “We hired him to go shake up DC. We didn’t hire him to maintain the status quo,” said Deason, a member of the finance committee of America First Action, the only sanctioned pro-Trump super PAC. While some of Trump’s backers have lobbed insults at the president, others are willing to give him more time to negotiate. Falwell encouraged Trump to declare a national emergency if Democrats haven’t agreed to wall funding by the time the current deal expires. Another evangelical leader with Trump’s ear, Family Research Council president Tony Perkins, said the president was smart to end the shutdown, even if some conservatives are angry. Dan Stein, the president of a hardline immigration group called Federation for American Immigration Reform, put the onus on House Speaker Nancy Pelosi and the Senate’s top Democrat, Chuck Schumer, who pledged to negotiate once the government was reopened. “The ball is now in Nancy Pelosi and Chuck Schumer’s court,” Stein said. In many ways, Trump’s announcement in a chilly Rose Garden on Friday and the subsequent conservative backlash was a rerun of last month’s theatrics in the political standoff. In December, when Trump offered signals that he might be willing to back off his threat to shut down the government over funding for a wall, conservative allies and pundits accused him of waffling on his campaign promise. Rattled by criticism from his own supporters, the president told House Republican leaders he would not sign a short-term government funding measure because it didn’t include money for the wall. “He brought his troops on the battlefield with an absolute promise. And then he walked away,” he said. But he added that he didn’t think it would prompt his supporters to vote for Democratic candidate over Trump in the 2020 presidential election. Peoples contributed from New York. Associated Press writer Sally Ho in Indian Wells, California, contributed to this report.